Ensemble: our award-winning musical theater performance program! Ensemble is an intensive musical theatre experience emphasizing training in voice, acting, and dance. Ensemble put on a full-scale production every semester. This is a high priority, highly intensive program. 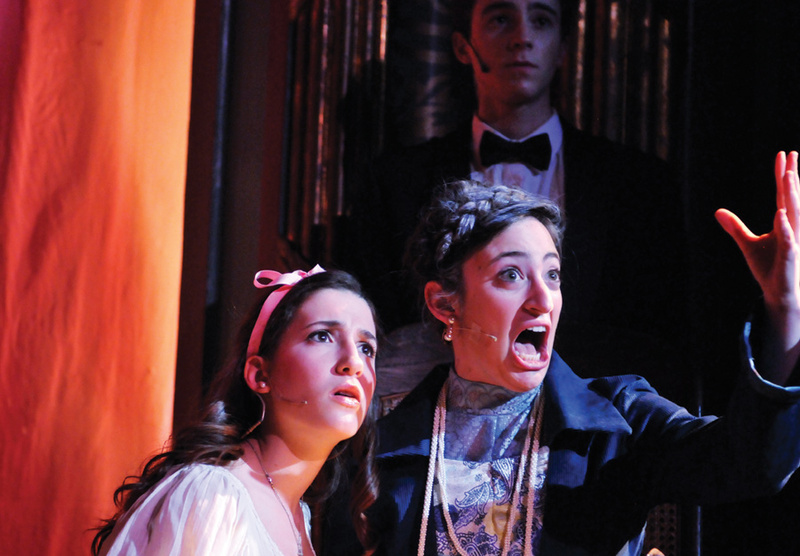 Ensemble members are required to take two classes, choosing two tracks among acting, voice, and dance. In the Fall, Ensemble is combined for all grades (4-12), where the younger students learn from the older ones, and they work together to put on a stellar, large-scale production. Past Fall Ensemble productions include “Les Miserables,” “Spamalot,” “Big Fish,” “The Sound of Music,” “The Pirates of Penzance,” “Pippin,” and “Tommy”. In the Spring, the ensembles separate into a Junior Ensemble and a Senior Ensemble, for a specialized focus within each age group. If you are interested in joining Ensemble, please contact us to schedule an entrance interview.